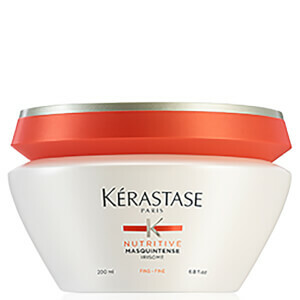 Kérastase Nutritive Bain Satin 2 is an innovative shampoo specially formulated to treat dry and sensitive hair. Suitable for dry to very dry, sensitised hair. Aqua / Water, Sodium Laureth Sulfate, Sodium Chloride, Dimethicone, Coco-betaine Cyclodextrin, Glycerin, Ppg-5-ceteth-20, Sodium Benzoate, Isostearyl Neopentanoate, Salicylic Acid, Carbomer, Guar Hydroxypropyltrimonium Chloride, Linalool, Hydroxypropyltrimonium Hydrolyzed Wheat Protein, Limonene, Glyceryl Linoleate, Safflower Glucoside, Butylphenyl Methylpropional, Glyceryl Oleate, Iris Florentina / Iris Florentina Root Extract, Glyceryl Linolenate, Sodium Hydroxide, Citric Acid, Parfum / Fragrance. 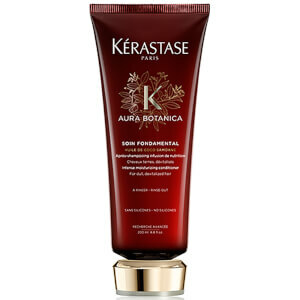 I have used this shampoo for many years it is definitely the best on the market for damaged hair Love it.